For years there was a line item in the Town of Jackson budget to replace downtown trash cans. The new ones were going to happen in spring 2016. Jackson Hole Public Art, a nonprofit that works—often in partnership with different entities—to integrate art into various public spaces, knew about this expenditure. 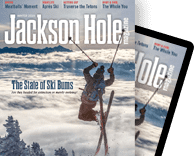 In fall 2014, as part of the annual recommendations the group gives the mayor and Town Council, JHPA included Jackson Hole-themed street furniture. “This was an easy way to make daily trips around Jackson more interesting,” Geraci says. The group was told that if they could match the budget for standard trash cans, it could happen. JHPA put out a call to local artists and designers and, by spring 2015, a design team had been assembled: Yehia and Inanna Reistad of E/Ye Design, Bland Hoke from Jackson Hole Public Art, and Jack Koehler of Friends of Pathways. JHPA secured private donations to cover the fees of the design team. And then the project “just capitalized on money that was already in the town’s budget,” Geraci says. “[Jackson Hole Public Art] does lots of stuff behind the scenes, so we don’t always get recognized for sparking ideas. This is a great example of how we’re pretty scrappy. For this project we just needed a little seed funding.” Not counting the privately donated design fees, seventy-four new trash cans cost $93,106. JHPA worked with Premier Powder Coating in Rexburg, Idaho, on design engineering. Since Rexburg is only two hours away, Premier delivered the trash cans for free. “That saved us thousands of dollars in shipping and is a much smaller carbon footprint than something from overseas,” Geraci says. “I THINK CALLING these art is going too far,” Yehia says of the antler-patterned cans. “But I hope people notice the good design. 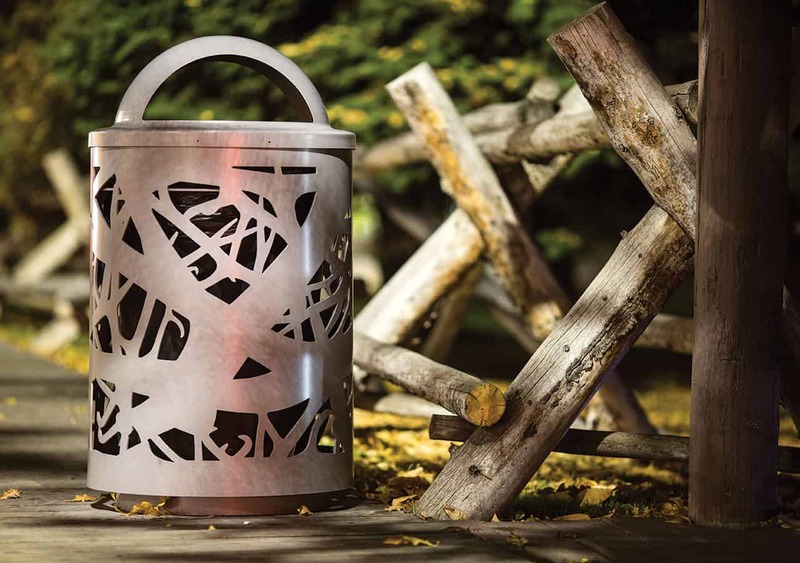 By rethinking how we could use time on the laser cutter—the off-the-shelf trash cans were laser-cut—in a more inspired way, we were able to create pieces that are totally unique to the identity of our town.” Geraci says, “People seem tickled by them. People have actually been sending me photos of them throwing stuff away.” Jackson’s street furniture also includes benches, which, right now, are privately funded, and tree grates.